January 3, 1958. 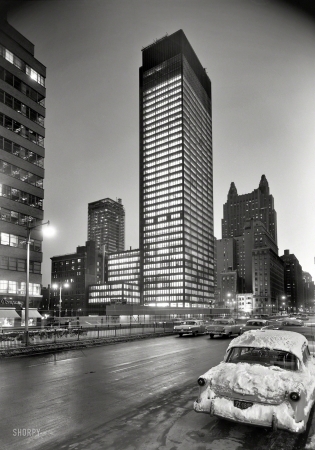 "Seagram Building. Night view, Park Avenue."